SOLD! SOLD! SOLD! To be Auctioned by sealed bid (Best and Final)! 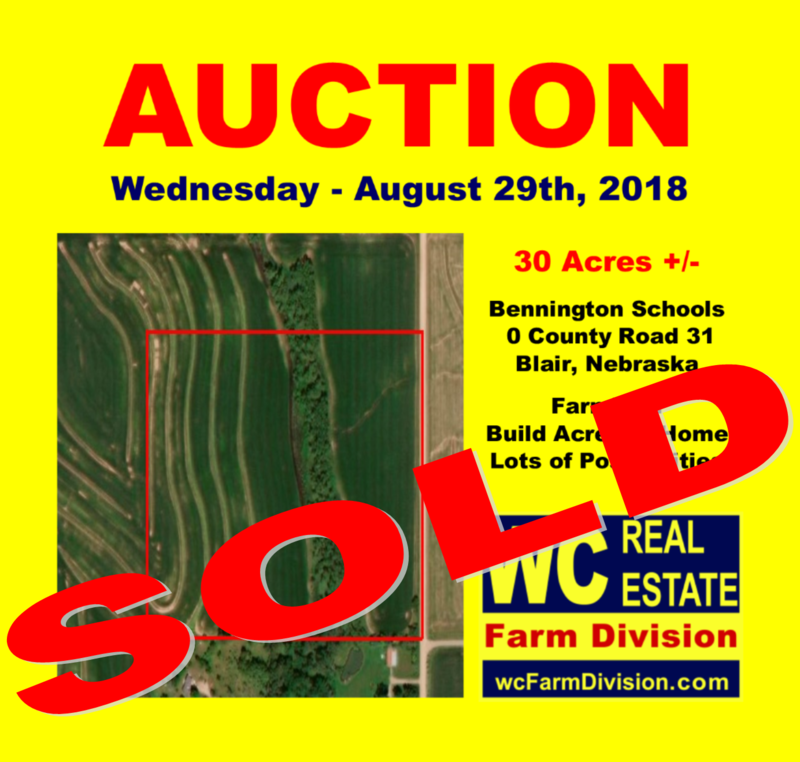 BENNINGTON SCHOOLS in Washington County! Auction August 29th, 2018. 30 +/- acres with NO covenants. Currently farmland but opportunity for small acreage development, build your dream acreage home, horse acreage, hobby farm, shop building with home. Lots of wildlife to see and hunting opportunities. Tranquil setting. Unique Opportunity, don't miss this one.